She turned herself in on the same day the Pilatus Bank chairman was arrested. The offices which house Pilatus Bank in Ta' Xbiex. The Pilatus Bank whistleblower who turned herself in to the Greek police on Monday, risks deportation to Malta. Maria Efimova had raised a political storm last year over the Egrant funds claims allegedly involving the prime minister's wife. Her surrender in Athens happened on the same day as the chairman of Pilatus Bank, Ali Sadr Hashemi Nejad, was arrested in the United States on US charges that he participated in a scheme to evade US sanctions and funnel more than $115 million paid under a Venezuelan construction contract. It is not known whether Efimova will be called to testify in the proceedings in Manhattan. Prior to turning herself in to the police, Maria Efimova reportedly contacted a number of people, telling them she was in emotional distress and fearing for her life. 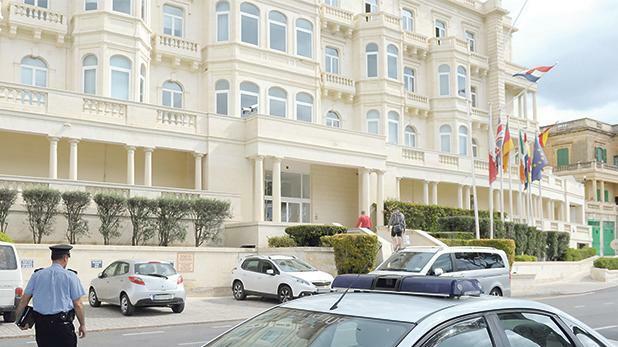 Ms Efimova, a Russian, is facing fraud charges in Malta following a criminal complaint filed by the Ta’ Xbiex-based bank. She is also accused of filing a false police report about officers who were ordered to arrest her. A European and international arrest warrant was issued by the Maltese authorities shortly after she fled the island last June saying she feared for her life. The Cypriot media reported in January that Cyprus had also issued an arrest warrant against Ms Efimova linked to a case dating back to 2014. Slain journalist Daphne Caruana Galizia last April published allegations by Ms Efimova that the bank had been used to move funds from Azerbaijan to Egrant, the Panama company which, she said, was owned by the Prime Minister’s wife. Ms Caruana Galizia said over $1 million was transferred to Egrant by the daughter of Azerbaijan’s President. Both the Prime Minister and his wife deny the allegations, now subject to a magisterial inquiry. Ms Efimova gave herself up to the police in Athens on Monday after spending months on the run. She was transferred to court custody yesterday, and a judge will now hear her case. Asked whether the government would be seeking her deportation to Malta, a spokesman noted that the execution of a European arrest warrant was a matter for the prosecution and the judicial authorities, not the executive. Ms Caruana Galizia accused the government of launching a smear campaign against the Russian woman soon after the Egrant allegations had been made. Apart from testifying before the Egrant inquiring magistrate, this year she also appeared before a European Parliament committee. Ana Gomes, a Portuguese MEP, demanded that EU States give Ms Efimova whistleblower status and grant her “asylum or international protection, since she is at serious risk”. She appealed to Greek Prime Minister Alexis Tsipras to ensure Ms Efimova and her family were protected. “The danger is real,” the MEP wrote. Nationalist MEP David Casa echoed the call for her protection. Ms Caruana Galizia’s son, Matthew, said Ms Efimova called him on Monday night from the police station. He said she had turned herself in because she was afraid. Early on Wednesday, US authorities announced that they had arrested Pilatus Bank chairman Ali Sadr Hashemi Nejad, 38, and charged him with a scheme which to secretly channel $115 million from Venezuela through the US financial system, evading sanctions.